The second edition of the Lagazuoi Cairn Festival is right around the corner! 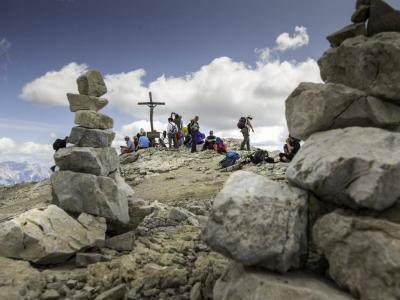 The successful concept of the previous year will be maintained: the Lagazuoi Cairn Festival 2018 will be again a non-competitive open-air contest for individuals or pairs, for the construction of a cairn along the pathway leading from Refuge Lagazuoi to the peak of Mount Lagazuoi at Cortina d’Ampezzo. Only the period was changed: the contest starts on Saturday, July 14, 2018 and ends on Sunday, July 29, 2018 . 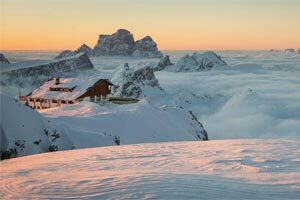 During this period, each participant / team can freely choose the two preferred days to take part in the event, a tribute to the immense emotional power of the mountains that surround the Lagazuoi. PRIZE-GIVING - on July 29th starting at 10.30 a.m. the entries will be judged by the jury, culminating with the announcement of the winner and the prize-giving at 2 pm. In addition to the jury vote, those visiting the Lagazuoi peak can register their preference directly on site or vote on the social media. What meaning do these stone formations have? 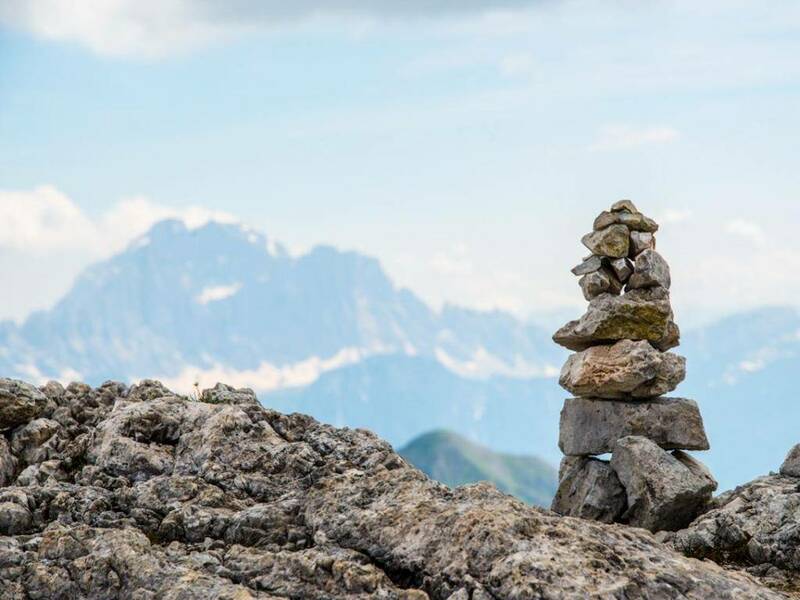 Cairns are principally used as points of reference, particularly in the mountains; in Italian generally referred to as “ometti”, they are built by hikers to mark the route in the absence of signs, to prevent others from wandering off the track. 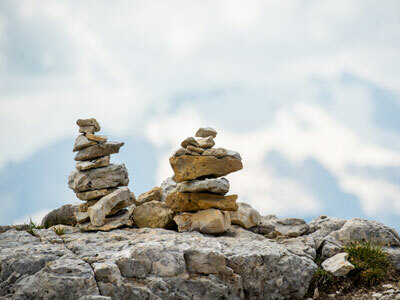 Cairns are also used for other purposes – historical and commemorative, or simply decorative or artistic. 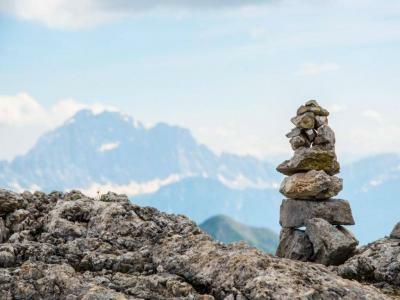 The practice of erecting cairns goes back to prehistory. Ancient cairns ranged from small stone sculptures to imposing artificial stone hills, at times built on mountain peaks. In ancient Greek mythology cairns are linked to the god Hermes, the patron of travellers. Legend has it that Hermes was called to judgement by the goddess Hera for killing her favourite servant, the monster Argus. All the other gods and goddesses acted as jury: to express their verdict, they were issued with stones, which they were ordered to throw at the god they deemed to be in the right. Hermes defended himself so skilfully that he ended up by being buried under a pile of stones, hence the creation of the first cairn. Cairns, or “ometti”, embody ancestral mythological values, the existential desire of man to mark his passage for the benefit of others following in his footsteps, in full awareness of the transience of things. Like all creative expressions of man, cairns express emotive, spiritual and gravitational equilibrium, as well as harmony of form and thought. Like the Tibetan mandalas, at the start of autumn the cairns will simply be "destroyed", and the stones composing them will be scattered – a dramatic gesture reminding us of the transient nature of things but also of rebirth, since the force of destruction is also a life-giving force underlying man's irrepressible urge to leave behind a sign of his passage. But why not build just for the pleasure of it? Perhaps the “ometti” have no need of a deeper meaning, of mythological or esoteric transfigurations. Perhaps they exist simply for their intrinsic beauty!